Janet van Eeden is an accomplished playwright, and has written and brought many plays into production over the years. The popularity of theatre in contemporary culture is once more on the rise, and regardless of whether you are watching free stuff at the Globe or engaging in off-the-high-street art productions, Janet van Eeden’s work strikes all audiences as original and inspired. A list of her accomplishments in theatre is listed below. Have written three radio plays (A Matter of Time was short listed in 1999 by BBC World out of 1100 entrants in their Write Around the World competition). Have written and produced five (and directed two as well) stage plays and taken all to the Grahamstown Festival. More plays are still in the pipe line. 2001: A Savage from the Colonies played at the Grahamstown Festival 2001 to critical acclaim from Stephen Gray in the Mail and Guardian – “Ingenious three-hander, deeply engrossing.” Was awarded a National Arts Council grant of R25 000.00 for the production. Was selected for The Hilton Festival in 2001. 2002: Oviri: The Savage Civilian, premiered at the Grahamstown Festival 2002. Was awarded a grant by the NAC of R30 000. 00. Selected for the St Anne’s Festival in Hilton 2002. Received excellent reviews. 2005: The Savage Sisters premiered at the Grahamstown Festival 2005 also with a grant from the NAC of R25 000.00. It was acclaimed by Robert Greig of The Sunday Independent. This was also selected by The Hilton Festival in 2005. 2006: A Matter of Time premiered at the Grahamstown Festival 2006 with funding from the NAC and was directed by Ian Roberts. It received a grant from the NAC of R30 000.00. 2006: Expletive Deleted premiered at the Grahamstown Festival 2006 and was selected for the main programme for the MUSHO 2007 festival at the Kwasuka Theatre in Durban in January 2007. It was directed by Ian Roberts. It has been greeted with much acclaim and will tour in 2007. 2006: In-Gene-Uity has been entered into the Pansa Festival of New Writing competition 2006/7. The outcome is still pending. 2008: Her play A Matter of Time was unanimously declared the winning entry of the Olive Schreiner Awards 2008 by all three judges. 2009: In-Gene-Uity premiered at the Grahamstown National Arts Festival in July starring Kiara Worth, Arifani Moyo and Janet van Eeden. 2015: In 2015, the Writers’ Guild of South Africa nominated three of Janet’s plays for the Award of Outstanding Achievement in Produced Stage Plays. She was given the Award on 28th April 2015 for A Matter of Time. 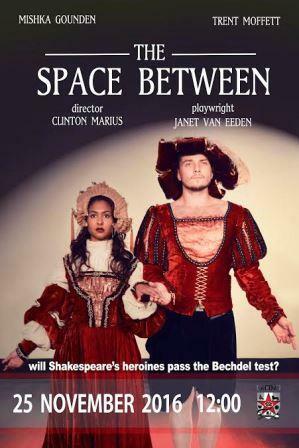 2017: The Writers Guild of South Africa nominated The Space Between for an award for Best Produced Stage Play of 2016. 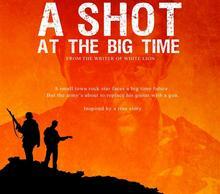 Shot the Feature is in Pre-Production.